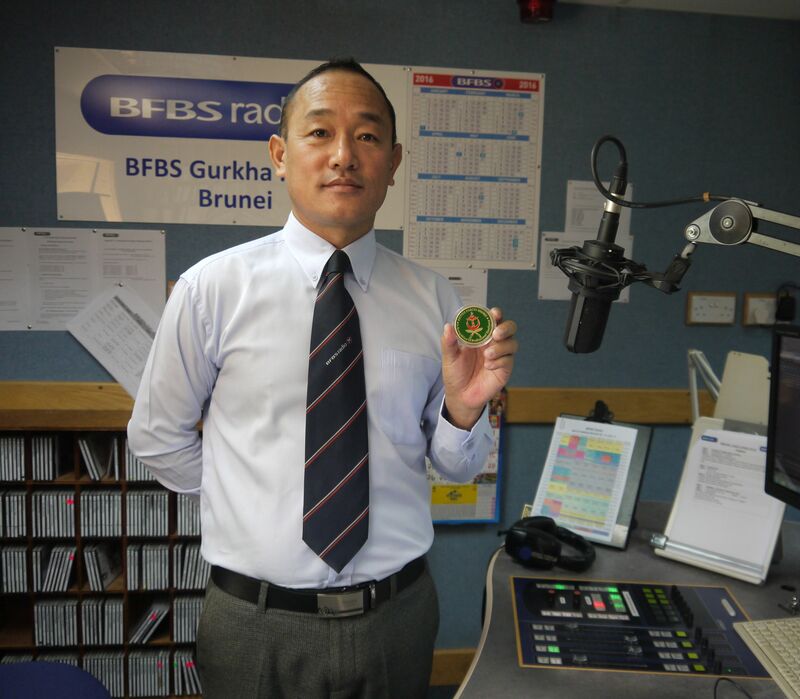 Principal Programmer for BFBS Gurkha Radio in Brunei, Yog Raj Rai, has received a Commander’s Coin for his ‘dedication’ and ‘unrelenting drive’. Managing Editor of the BFBS Gurkha Service, Lisa Davis, said: “I’m thrilled that Yog’s hard work has been recognised. Yog joined BFBS in 2005, while he was still serving with the Queen’s Gurkha Engineers, and after retiring from his 22-year military career he has worked full time for BFBS. Lt Colonel Jody Davies, the Commanding Officer for British Forces Brunei, presented Yog with his Commander’s Coin, which is inscribed with the words ‘In Recognition of Professional Excellence’.